The results of the study were so encouraging that a two year study, ten times larger will now take place. DOGS ARE SURPRISINGLY adept at sniffing out lung cancer, results from a pilot project in Austria published today suggested, potentially offering hope for earlier, life-saving diagnosis. “Dogs have no problem identifying tumour patients,” said Peter Errhalt, head of the pulmonology department at Krems hospital in northern Austria, one of the authors of the study. The test saw dogs achieve a 70-percent success rate identifying cancer from 120 breath samples, a result so “encouraging” that a two-year study ten times larger will now take place, Errhalt said. The results echo anecdotal evidence of odd canine behaviour when around cancer sufferers and are backed up by the results of similar small studies, including one by German scientists in 2011. The ultimate aim is not however to have canines stationed in hospitals, but for scentists to identify what scents the dogs are detecting, explained Michael Mueller from the Otto Wagner Hospital in Vienna, who collaborated on the pilot project. This in turn could help scientists reproduce in the long term a kind of “electronic nose” – minus the wagging tail – that could help diagnose lung cancer in the early stages, thereby dramatically improving survival rates, Mueller said. Email “Pilot study says dogs can sniff out lung cancer”. 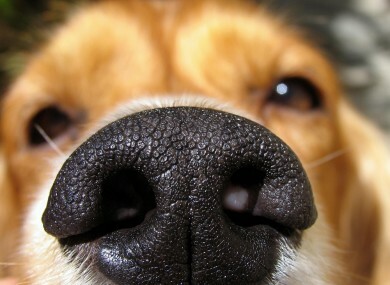 Feedback on “Pilot study says dogs can sniff out lung cancer”.